Wood, J. L., & Harris III, F. (2013). 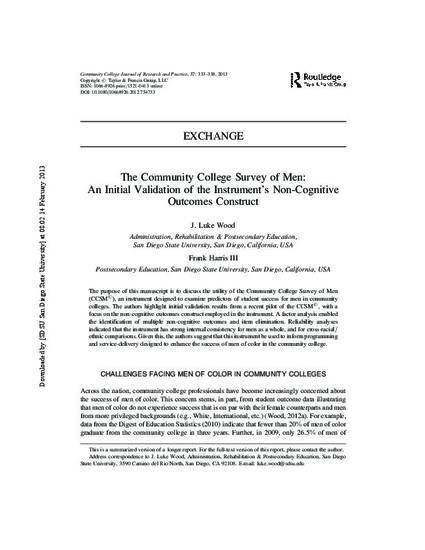 The community college survey of men: An initial validation of the instrument’s non-cognitive outcomes construct. Community College Journal of Research and Practice, 37(4), 333-338.